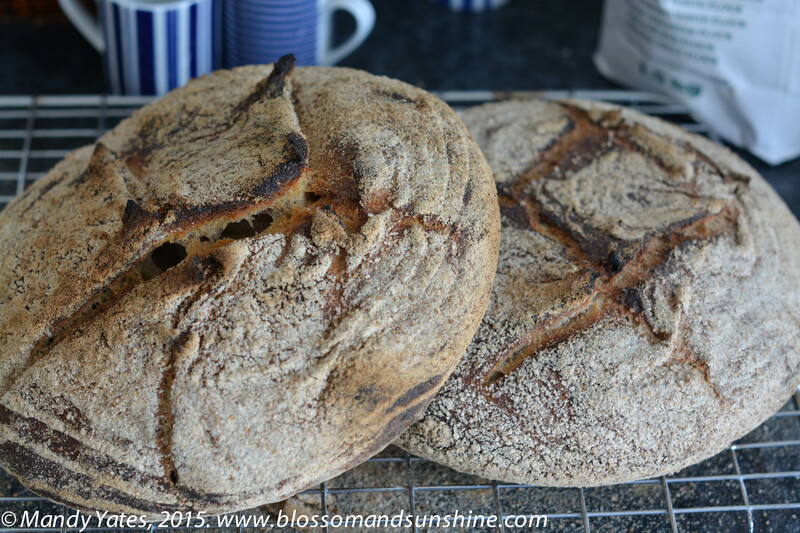 I made this bread a couple of weeks ago when it was all going so well and my learning was indeed hitting the upward slope of the Bell learning curve. 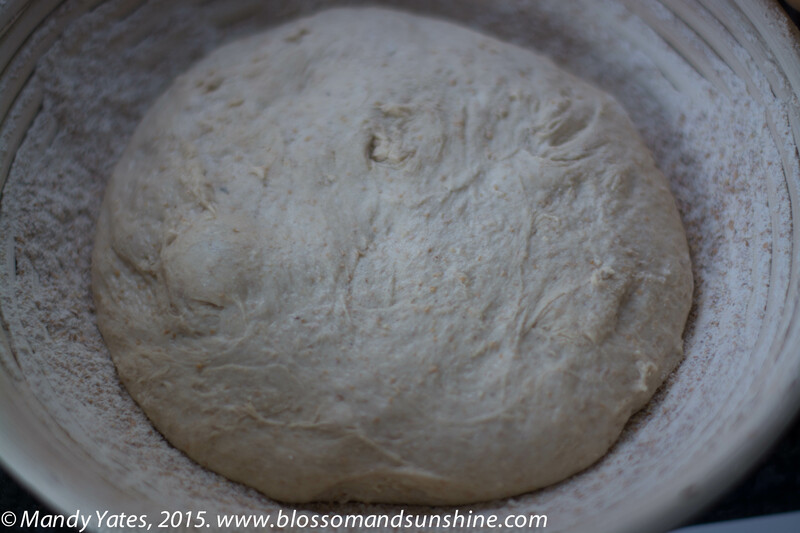 Since then it toppled out and I had a spectacular failure mainly because I let the dough rise for too long and the structure of the bread just flopped – whether that was from overstretching the gluten or the yeasts doing something odd would take a suite of laboratories to decide. 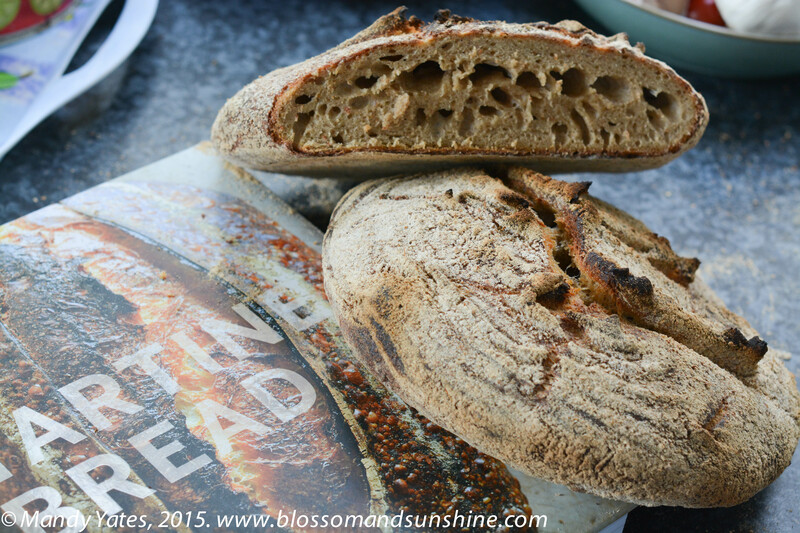 I am thoroughly enjoying Tartine Bread by Chad Robertson, its a true sourdough bread lovers book, it is written in blog format with wonderful photography and If you buy just one bread book this year…. honestly make it this, its such a gorgeous book, just reading it will make you feel as though your living the sourdough dream. I am through the book as far as making the starter and then making the bread but it all seems so complicated!! Why does 80% of the starter have to be thrown out and then all of it except one tablespoon? Why not just make less??? Questions, questions hopefully to be answered further along in the book! Thoroughly enjoying the book though. I think it might be to try and capture the wild yeasts. 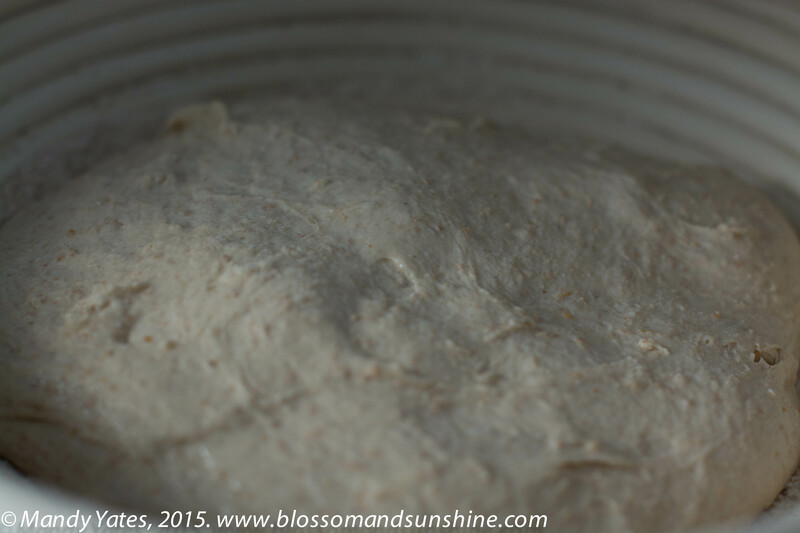 If you used a small amount of flour, which the wild yeasts are on, you might not ‘catch’ them. Mind you these are just my thoughts, I have no idea. And I make sure to use a really generous tablespoon of starter.